Today, Samsung and Verizon have officially unveiled the Stratosphere II. The device will become available in following weeks, featuring some pretty decent specs for a mid-range smartphone. 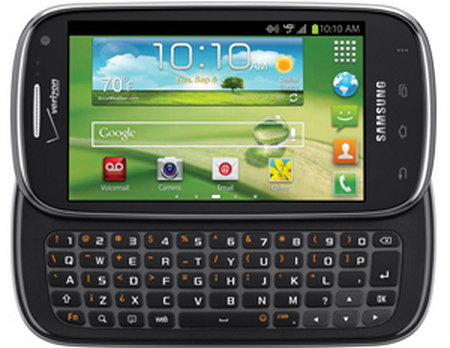 For $129 on a new two year agreement, the device sports a 4.0″ AMOLED display, full QWERTY keyboard for the texting addicts, Ice Cream Sandwich, a 1.2GHz dual-core processor, and access to Verizon’s 4G LTE network. On top of those goodies, the device is “Global Ready” and supported in over 200 countries across the globe. For the travelers, that’s a major plus. Thoughts on the mid-range QWERTY device?